Coaching is no longer something only sports people or actors do, more business people are aware of the proven benefits having a professional business coach as part of your team brings. 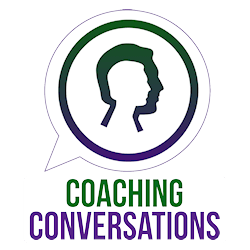 Whether for a one off change or as part of a longer programme the conversation has shifted from “why do you need coaching?” to “do you know an amazing coach I can work with?“. Steve Crabb has nearly two decades of high level coaching experience and has been director of two multi million pound companies, the combination of coaching and business experience means you are in excellent hands. Combining NLP with Transformational Coaching is a powerful way to create programmes of excellence whether for individuals, teams or organisations. Steve Crabb masterfully combines these approaches together in what he calls the “Zero Limits Mindset” offering what you and your business needs; whether that is Training, Mentoring, Caretaking, Coaching, Counselling or even Therapy. All coaching begins with a meaningful conversation about what it is you want to change. Contact me today and Lets Talk. Business Coaching is a proven way to deal with challenges and change. 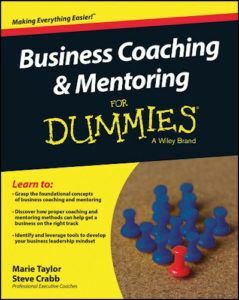 Business Coaching enables individuals to perform effectively and efficiently. Business Coaching gives you the competitive edge. Coaching programmes for teams and organisations can be designed and quoted for. Individual business coaching sessions are tailored to meet your specific needs, they can be a one off “remedial” (problem) based session or they may be part of a longer ongoing “generative” (improvement) programme carried out over a period of time. Coaching programmes are usually on a “1 to 1” face to face basis Skype coaching sessions and programmes are also available . Sessions are held in London (Mayfair) or at your premises (if in London) they can also be held by arrangement out of London, at your premises or overseas (subject to travel time and travel costs). Keeping a competitive edge by daring to be different. “‘Working with Steve was a thought provoking, enlightening and very enjoyable journey, by the end of which he had shown me how to dispense with negative past issues and what I needed to do to finally move on. Steve showed me how to clear my thinking and go back out there and achieve the ambitions I once had but lost somewhere along the way. 1 x 2-hour “face to face” session. Perfect for overcoming a habit, changing a behaviour, eliminating a fear or limitation or for exploring new ideas. Also ideal for a client wanting to experience coaching before engaging in a longer term programme. 2 x 2-hour “face to face” sessions. The additional follow up session time enables us to check the work done and make adjustments. Business Coaching – Zero-Limits Programme. When you coach over a longer period you get to see the changes made over time we have the chance to review the direction you are going and make adjustments along the way. The 1 month Zero-Limits programme can be rolled over for additional months for longer term projects. This programme includes four coaching sessions held over the month. Imagine a year long programme devoted to taking your professional and business skills to the level of “Mastery.” Then imagine having a world –class business coach as part of your support team for that year and you have the Protégé Programme. A totally immersive coaching programme where you get to focus on you, your hopes, dreams and aspirations and how to make them real. This year long programme consists of 10 x 3 hourly monthly coaching sessions (Excludes August & December). It’s an intensive and transformational programme where you will not only be coached but learn some of the skills and techniques of coaching with the focus being on achieving professional excellence. During the term of the Business Coaching Protégé Programme you will have direct access to Steve via mobile and e-mail for any subjects that may crop up over the year. In addition you will be a guest to any of the public training and workshop events held during your apprenticeship year. If the Protégé programme is something you want to do and you are serious about investing in yourself and taking your professional skills to a new level then be prepared for a transformative year. Previous protégés have come from USA, Brazil, Saudi Arabia, Israel, Spain, Belgium, and across the UK. All great relationships start with a meaningful conversation – Let’s talk.